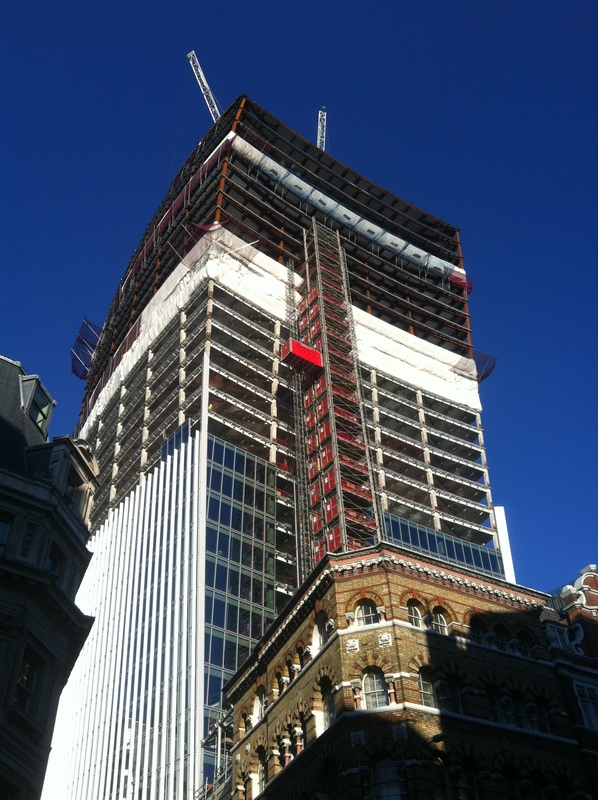 The city of London is welcoming a new addition to its skyline, as the opening of 20 Fenchurch Street moves a step closer. The unique looking building, known as the ‘Walkie Talkie’ thanks to its bulging shape, was the brainchild of Uruguayan architect Rafael Vinoly. The unusual shape and speed of the building’s completion presented a unique set of challenges for Sharpfibre, the company responsible for the application of passive fire protection. These included the requirement for structural steel protection to 90 and 120 minutes, as well as an extremely demanding build programme. The fire protection system needed to take into account logistics, speed of application and stringent environmental controls. The second stage of the project is due for completion later this month [March 2013].